Knee arthroscopy is a type of keyhole surgery used to diagnose and treat knee pain or other knee problems. A knee arthroscopy can be used for inflammation, damage, injury and infections. Knee arthroscopy is a type of keyhole knee surgery that enables a surgeon to see inside your knee with a camera. Your doctor may recommend that you have knee arthroscopy if you have persistent knee pain and other symptoms. Knee arthroscopy may not improve knee pain and stiffness in people who already have osteoarthritis. So, it’s not often recommended to people with only osteoarthritis pain. But you may be offered an arthroscopy if you have osteoarthritis and your knee also catches or gives way. You may also be offered keyhole knee surgery if weight loss and exercise haven’t helped your osteoarthritis after at least three months. You can also have treatment during knee arthroscopy. Your surgeon may repair or remove any damaged tissue and cartilage. Your surgeon can take small tissue samples (biopsies), which can help to diagnose problems such as an infection. More complex surgery can also sometimes be performed through a knee arthroscopy. This can include surgery to repair torn knee ligaments, or to treat an unstable kneecap. Your surgeon will use an arthroscope (a thin metal tube that contains a camera) and small surgical instruments during your knee surgery. Images are shown on a screen. Your surgeon or doctor can save these images to show you what’s wrong with your knee after your surgery. You should recover more quickly from knee arthroscopy than if you have open knee surgery. You’ll meet the surgeon carrying out your knee arthroscopy to discuss your care. It may be different from what’s described here because it’ll be designed to meet your individual needs. Your surgeon will explain how you can prepare for your operation. If you smoke, you’ll be asked to stop smoking. Smoking makes you more likely to get an infection after surgery, which can slow down your recovery. It can also make your surgery less effective and lead to complications. Knee arthroscopy is usually done under a general anaesthetic, but you may be able to have it under local anaesthetic. If you have a general anaesthetic, you’ll be asleep during the procedure. A general anaesthetic can make you sick so it’s important that you don’t eat or drink anything for six hours before your arthroscopy. A local anaesthetic completely blocks pain from your knee and you’ll stay awake during surgery. Follow your anaesthetist or surgeon’s advice. You may be asked to wear a compression stocking on your other (unaffected) leg. This will help prevent blood clots forming in the veins in your leg. You may also need to have an injection of an anti-clotting medicine such as tinzaparin or daltaparin as well as, or instead of, wearing compression stockings. You’ll usually be able to have knee arthroscopy and go home from hospital on the same day. In some cases, if you’ve had regional anaesthetic (a type of local anaesthetic that would numb a wider area of your leg) you may need to stay overnight until you’re able to walk well enough again. Your doctor may be able to diagnose your knee problem by examining your knee or doing an X-ray or a magnetic resonance imaging (MRI) scan. An MRI scan uses magnetic fields and radio waves to give very detailed images of the inside of your body (in this case, of the inside of your knee). In some cases this may not be possible and a computer tomography (CT) scan may be used instead. A CT scan uses X-rays to create images of the inside of your body. Some knee problems can be treated using physiotherapy and medicines. Knee arthroscopy usually takes less than an hour. But this depends on how much work your surgeon needs to do inside your knee joint. You’ll be lying down on a table with your leg in the right position so your surgeon can see your knee clearly. Your surgeon will wait for the anaesthetic to start working. Then they’ll make small cuts in the skin around your knee. They’ll put sterile fluid into your knee joint to rinse it out. 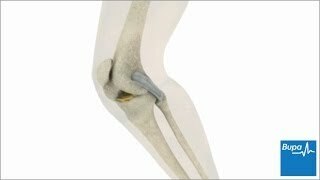 This will help them see the inside of your knee more clearly. They’ll then insert the arthroscope (thin metal tube containing a camera) and examine your knee joint by looking at images on a monitor. Your surgeon will move the arthroscope around so they don’t miss anything they need to look at. They may take some photographs. Once they’ve diagnosed the problem, they may decide to treat your knee. They may use other surgical tools to repair or remove any damaged tissue, such as cartilage. Once they’ve finished looking inside your knee, your surgeon will drain the fluid out. Then they’ll close the cuts with stitches or adhesive strips and wrap a dressing around your knee. You’ll need to rest until the effects of the anaesthetic have worn off. It may take several hours before the feeling comes back into your knee. Take care not to bump or knock it. You may notice some discomfort as the anaesthetic wears off and some swelling. This is a normal response to surgery. You’ll be offered pain relief as you need it. You’ll usually be able to go home when you feel ready. Make sure someone can take you home. Ask someone to stay with you for a day or so while the anaesthetic wears off. You may not be able to put weight on your leg for up to a week after your surgery, so you may need some help to stand or walk. Your hospital may give you crutches or a walking frame to take home. Your surgeon or nurse will give you advice on how to use these, and for how long. A physiotherapist may give you some exercises to do. These will help to improve the strength in your knee and how well you can move it. Keep doing these exercises when you get home, as they’ll help you recover more quickly. Your nurse will give you some advice about caring for your healing wounds before you go home. You’ll usually have two to four scars around your kneecap. These will be covered with a waterproof dressing. Your wounds will be closed with stitches or skin glue. The time it takes for dissolvable stitches to disappear depends on which type you have. If you have non-dissolvable stitches, these are usually removed by the practice nurse at your GP surgery a week or two after your procedure. In some cases, you may be asked to wear a compression stocking while you recover, to improve blood flow and reduce the risk of deep vein thrombosis (DVT).You may be given a date for a follow-up appointment. This will usually be six weeks after your surgery. Everyone recovers from knee arthroscopy differently. The time it takes you to recover will depend on many things, including whether you had any treatment during your knee surgery. It takes most people two to six weeks to recovery completely. You may feel more tired than usual, so don’t do too much too soon. Ask your friends, family and neighbours to help you with practical tasks, such as your weekly shop or lifting heavy items. After knee joint surgery, your knee is likely to feel sore and swollen. Try elevating the leg and applying a cold compress, such as ice or a bag of frozen peas, as it may help to reduce swelling and bruising. Don’t apply ice directly to your skin as it can damage your skin; wrap it in a towel first. After the first 48 hours, you may be able to take the dressing off and uncover your scars. You may be able to get them wet around this time too. Your surgeon or nurse will tell you exactly when you can have a bath or shower. If you need pain relief, you can take over-the-counter painkillers, such as paracetamol or ibuprofen. Always read the patient information that comes with your medicine. If you’re worried about anything, or have any questions, ask your pharmacist for advice. A general anaesthetic can affect you in many ways. You may find you’re not so coordinated or that it’s difficult to think clearly. This should pass within 24 hours. In the meantime, don’t drive, drink alcohol, operate machinery or sign anything important. Always follow your surgeon’s advice. You may be able to walk around almost straightaway after your surgery. But this will depend on why you had surgery and the type of surgery you had. Some surgeons recommend a week of two of rest, followed by gentle exercise and then sports later on. After around two to three weeks, you may be able to do some more strenuous activities. Stick to walking, swimming, gentle cycling and light exercise, as long as you’re comfortable. If you’re swimming, you may find breaststroke difficult. Avoid impact sports for at least six weeks, and always check with your surgeon first. You may not be able to do some sports for the first six months. Surgeons often have a post-surgery exercise plan that you can follow. You may feel ready to drive again by around the third week after keyhole knee surgery, but follow your surgeon’s advice. It’s important to let your insurance company know about your arthroscopy. Some companies have strict policies and won’t insure a driver until several weeks after their surgery. Getting back to work or your daily routine may help you recover more quickly. But how much time you need to take off work after your knee surgery will depend on your job. If you work in an office, you may be able to go back to work within a week. If your job involves heavy physical work, you may need to take up to six weeks off. Your surgeon and employer should be able to advise you. If you want to travel, you may have to delay your trip because of the risk of developing deep vein thrombosis (DVT). This will depend on whether you have any other risk factors for DVT (eg your age) and the length of your flight. After having knee surgery under a general anaesthetic, your risk of DVT is much higher than if you hadn’t had surgery. As well as following your surgeon's advice, it’s worth contacting the airlines to check their own policies. 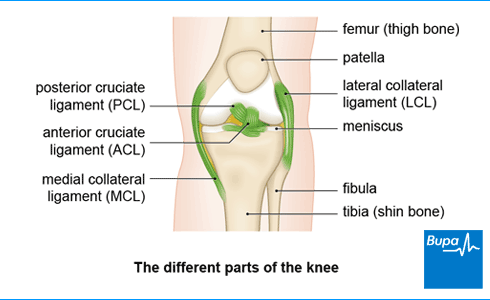 After keyhole knee surgery, you may have some pain and swelling around your knee. This can last for up to a week and is completely normal. But speak to your surgeon or nurse if your knee starts to bleed. You will also have small scars on your knee from the cuts. You may notice you can’t bend your knee properly for a week or so too. You may feel more tired than usual after knee arthroscopy. If you have a torn or damaged cartilage removed from your knee joint during knee arthroscopy, this could make you more prone to osteoarthritis later on. It takes most people two to six weeks to recover from knee arthroscopy. But there are some things you can do before and after your surgery to speed up your recovery. It’s important to stop smoking. Smoking can make you more likely to have an infection and slow down your recovery. If you’re overweight, you may be advised to try to lose some weight before your surgery too. Eating a healthy diet will help you recover more quickly. After your knee surgery, your physiotherapist will give you exercises to do at the hospital and at home. These will help to strengthen your knee and prevent any stiffness. Follow their advice on exercising after surgery so you don’t do too much too soon. You’ll need to use crutches at first when you get home from hospital. You may want to rearrange your furniture so you have more space to move around. Place items you use a lot where you can reach them easily. It’s also a good idea to stock up on frozen or tinned food, so you don’t have to go shopping immediately after your procedure. You may need some extra help from family, friends or neighbours during your first few days at home. After your knee arthroscopy, it’s important to exercise regularly to restore your knee’s movement and strength. But you’ll need to build up gradually and take things easy at first. Your physiotherapist may recommend some exercises for your knee that you can do at home. You may have physiotherapy for several weeks after your operation. You can start with some gentle exercise, such as walking. This may feel a little uncomfortable at first. After a week or two, you may be able to go for longer walks, swim or have a gentle cycle. Don’t do any high-impact exercises, such as running, for at least six weeks. You should be able to get back to your usual activities after six weeks. But this will depend on your procedure and what you had done. You may not be able to do certain sports for up to six months. Your surgeon or physiotherapist will give you more information about what you can do. Will my knee recover completely? Knee arthroscopy can be used to treat various knee problems, including severe knee pain. But your knee may not recover completely after surgery. This will depend on why you had the surgery and how badly you had damaged your knee. Your surgeon often won’t know how badly damaged your knee is until they have operated. Knee arthroscopy may not improve knee pain and stiffness in people who already have osteoarthritis, which causes wear and tear in your knee joint. So, most surgeons won’t perform arthroscopy for osteoarthritis pain. Arthroscopy may cause osteoarthritis later on in people who have some cartilage removed from their knee joint during the procedure. Some people do still have some knee pain and stiffness after keyhole knee surgery. But they have fewer symptoms than if they hadn’t had the surgery at all. Your surgeon will explain the pros and cons of surgery to you, before you decide whether or not to go ahead with it.